Laurie serves as Vice President, Energy and Additive Manufacturing within the Arconic Engineered Structures (AES) business unit. She is responsible for operations and financial performance of the Austin, Texas additive manufacturing facility, and the Spring, Texas facility which serves the oil and gas industry. 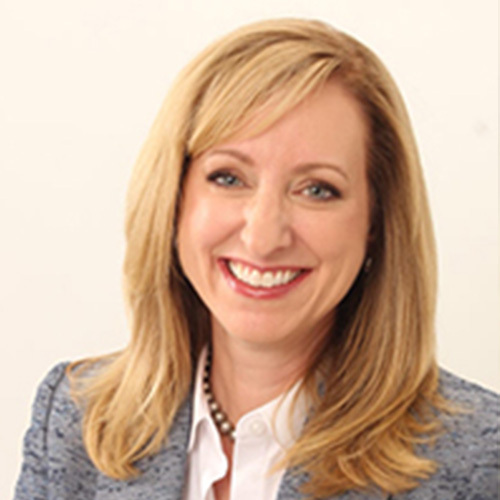 Laurie has 25 years of business leadership experience in operations, manufacturing, strategy, commercial, M&A, and project development and management. She has additionally served in a variety of organizations, interfacing with federal and state regulators (on and offshore) representing industry and customer interests. Laurie is customer-centric and passionate about evolving technologies, strategic growth, and developing talent. For Laurie, advancing opportunities for girls has been a lifelong interest; she is a former board member for the local Girl Scout council, a lifelong Girl Scout volunteer, and a Gold Award recipient – the highest distinction given to a Girl Scout. Laurie invests her personal time in organizations that advance STEM opportunities for young women – through her longstanding service to the Women’s Energy Network, an international organization of professional women who work across the energy value chain, and by serving as the West North American regional leader for the Arconic Women’s Network. In 2017, Laurie was honored to represent Arconic as a Manufacturing Institute STEP Ahead award recipient, and to be recognized for her achievements in manufacturing and her dedication to supporting girls and women in this field. Together with Discovery Education, Laurie hosted a “virtual field trip” to introduce thousands of school-age children worldwide to 3D printing and how it’s revolutionizing aerospace (www.manufactureyourfuture.com/VirtualFieldTrip/arconic-austin). A graduate of Baylor University, Laurie is a native Houstonian. She is married to James Markoe, is the mother of a young adult daughter and son, a beach bum, and a huge college football fan.